We believe that a financial plan is all encompassing. When we engage with you, we really want to get to know you in order to consider all aspects of your life and future goals when building a comprehensive plan. Our role is to identify and help you plan for the things that matter the most to you and your family. We take the time to ensure you understand all the moving pieces, so together we can make informed decisions for your future. 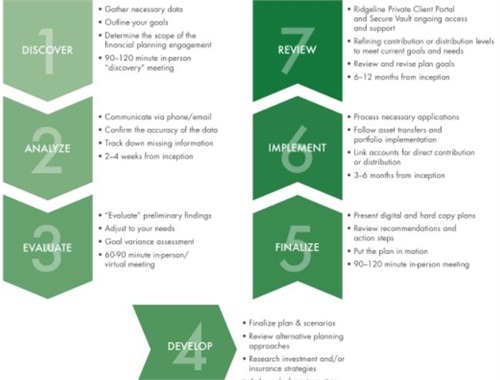 Below are samples of our Financial Planning Engagement Process as well as our Comprehensive Analysis. Our typical financial planning process can take anywhere from a few weeks to a few months to implement from start to finish, depending on the complexity of your situation. This is just a sample of what you can expect. 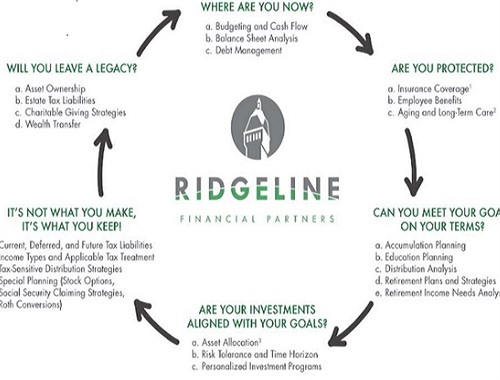 When you engage with us, we will take you through a comprehensive financial planning analysis. We start with an assessment of where you are today and where you hope to be, providing recommendations along the way.